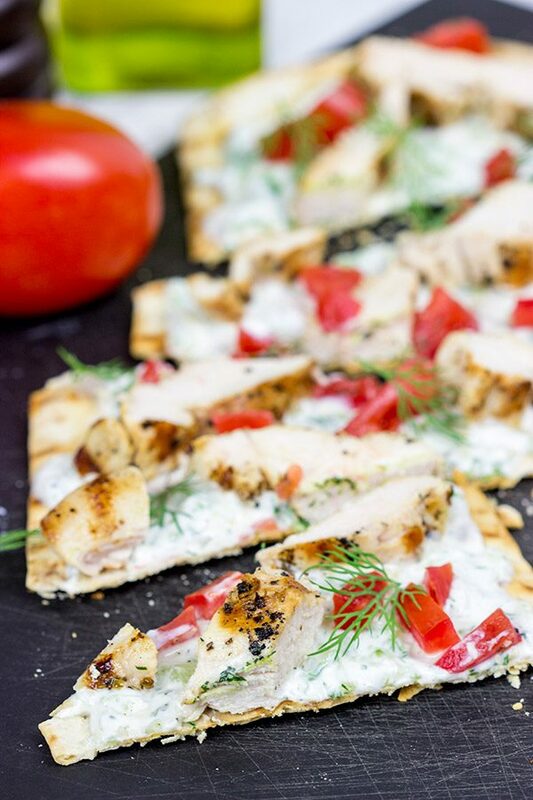 These Grilled Chicken Souvlaki Flatbreads are great for summer appetizers or a light dinner on the back porch! You guys remember the Mother Goose Jazz Band, right? I mean how can you forget a name like that! As Laura and I realized a long time ago, little Robbie loves music. Even when he could barely sit up, he’d bop his head along to whatever music I had playing. (Usually that was Journey or Rush. Or perhaps Billy Joel. I have an eclectic taste in music.) Well this past March we realized that Robbie loves a different type of music. Why March? Because St. Patrick’s Day. To get into the St. Patrick’s Day spirit, I found an Irish station on Pandora. To be fair, most of the songs were Irish drinking songs. But they’re all upbeat and fun. Yes are. Not were. You see, Robbie still wants to listen to the St. Patrick’s Day station. It might be late June and blazing hot outside, but we’re still listening to Irish drinking songs in our house. Robbie will actually go over to the counter where the speaker is sitting and start dancing. That’s how he tells us he wants music. And if it’s not the Irish station, then he just shakes his head no. So we turn on the St. Patrick’s Day station and have a foot-stomping good time! 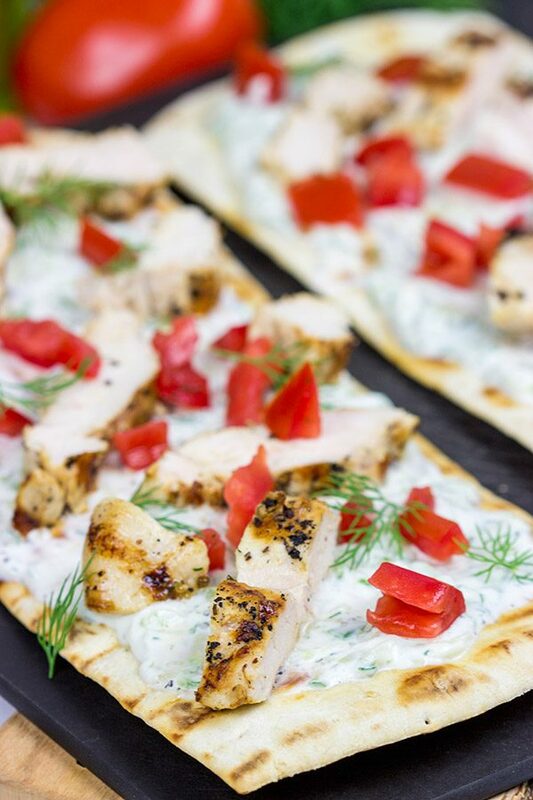 So with that scene as a backdrop, let’s come back to these Grilled Chicken Souvlaki Flatbreads. I’m a huge fan of chicken souvlaki, especially in the summer when the days are warm. Greek flavors always scream warm weather to me. 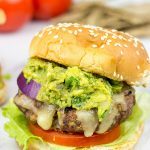 I find the lemon + olive oil + oregano + dill combination to be particularly tasty when combined with the flavor of the grill. 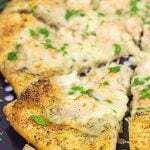 For this version, I used Flatout’s Artisan Thin Pizza Crusts as the base, and then just topped them with a homemade tzatziki sauce, grilled chicken and diced tomatoes. 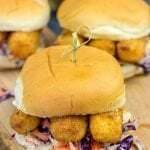 This recipe is seriously tasty, and it makes for a great summer appetizer or light dinner. We actually ate these flatbreads on the back porch along with some freshly cut watermelon…while listening to Irish drinking songs in the background. Greek food. Irish music. It all works! 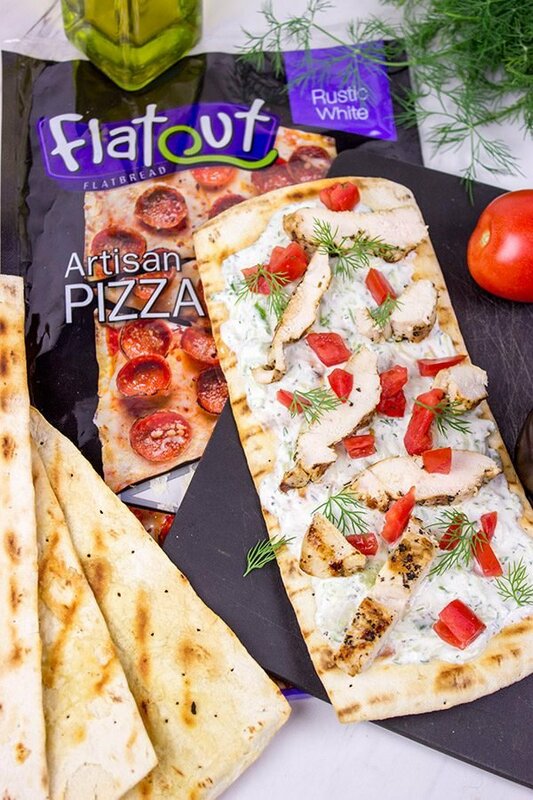 Have you guys tried Flatout’s Artisan Thin Pizza Crusts? They come in 3 varieties (Rustic White, Spicy Italian and Rosemary & Olive Oil), and they’re perfect for a quick meal. We occasionally use these flatbreads to make a quick pizza in the toaster oven, but I gotta say that grilling them is super fun. They grill up in just 2-3 minutes and then you’ve got a blank canvas for making your own flatbread creation. 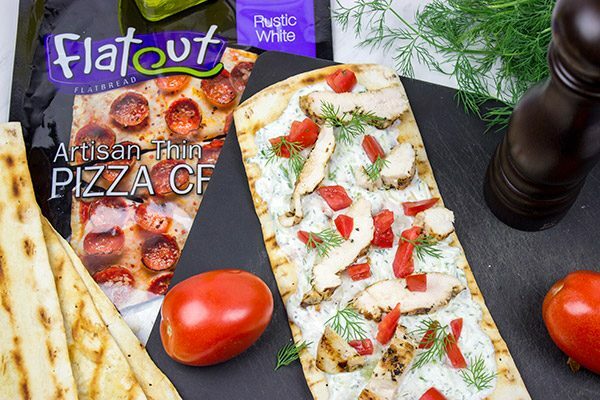 (Click here to find Flatout’s Artisan Thin Pizza Crusts in your area.) I hope you guys have an excellent weekend full of wonderful weather, tasty grilled flatbreads and Irish music! 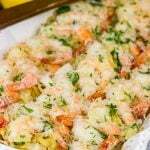 In a small glass baking dish, whisk together the lemon juice, olive oil, garlic, oregano, salt and pepper. Place chicken in dish and toss lightly until well coated. Cover dish and place in the refrigerator to marinate for 1 hour. Slice the cucumber lengthwise and use a spoon to scrape out any seeds. Using a medium grater, grate the cucumber into a bowl. Using several paper towels, press the grated cucumber firmly to remove as much liquid as possible. Add all of the remaining ingredients (yogurt, sour cream, garlic, lemon juice, vinegar, dill, salt and pepper) and mix until well blended. 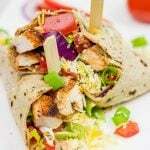 Remove chicken breasts from marinade and place on grill; discard any remaining marinade. Grill for 10-12 minutes, flipping once, or until chicken breasts are fully cooked. Remove chicken from grill and set aside to rest. Meanwhile, brush one side of the flatbreads with about half of the olive oil. Place on the grill oil-side down and immediately brush top (un-oiled side) with the remaining olive oil. Sprinkle salt across the top of the flatbreads. Remove flatbreads from grill. Spread ~¼ cup of Tzatziki Sauce evenly on top of each flatbread. 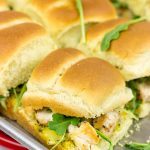 Slice chicken into ½” wide strips. Divide sliced chicken and diced tomatoes evenly between flatbreads. As the Greek yogurt plays a key role in this sauce, I highly recommend using a quality plain Greek yogurt. We’ve tried various brands, and they make a big difference in the final taste of the tzatziki sauce! Disclosure: This Grilled Chicken Souvlaki Flatbreads post was sponsored by Flatout Flatbread, but the recipe and opinions are entirely my own. Thank you for supporting the brands that support Spiced! So it was Scotland that we visited, and we loved that country! We were actually debating between Ireland and Scotland, and we settled on Scotland. It was a great trip, and we can’t wait to go back! (But I also want to go to Ireland…I keep seeing amazing photos from there!) Can you imagine what Robbie would think about the music if we actually took him with us to Ireland? (Not that I’m crazy enough to take a 1.5 year old on vacation to another country…but still.) As you’ve noted, I do love flatbreads…they’re fun, and really easy to make. And I gotta say this chicken souvlaki version is a new favorite around here. Thanks, Ben!! Hi David. This looks perfect for a hot summer night, maybe with a nice Greek salad to go with. Tzatziki is one of the few things Gary will eat containing yogurt, I think because there are so many other flavors in it. Oh, this one is definitely good for hot summer nights, Dorothy! It’s light, but still packed with flavor. I was actually thinking about Gary with the Tzatziki sauce, but I’m really glad he likes it…it’s such a versatile sauce, and it’s packed with delicious summer flavor! 🙂 Hope you guys had a great weekend down there! With a name like that is kind of hard to forget! hehehe I love what you’ve done with these flat breads!! have a great week David! Haha, you’re totally right, Gaila! This one is a mouthful to say…but I promise it’s worth it. 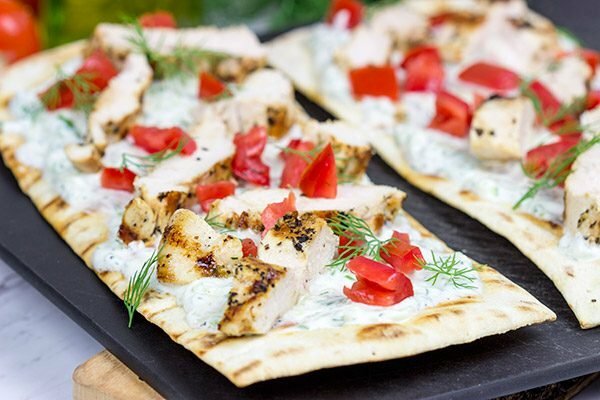 🙂 Flatbreads are such a fun way to serve a light dinner or snack, and this chicken souvlaki version is definitely a favorite around here. Hope you had a great weekend, my friend! I think you have a future musician on your hands! That is so cute that he dances to request music :). Seriously, how is Robbie so precious? I’m loving these flatbreads. Greek flavors are some of my favorite and I’m really wishing I had one of these in front of me for dinner. Hope you’re having a great week! I do remember The Mother Goose Jazz Band, it’s hard to forget it lol. Robbie does love his music, I can only imagine him stomping his feet and clapping along. I love how he knows what he likes, shaking his head at the not Irish station lol. I have to try these Flat Out flatbreads, you always make the best flat bread. Hi David. I need to come and have these flatbreads for dinner on your porch. In fact I just need to see your porch and chill out there as you’ve mentioned it before and I’m imagining it being a great place for food and chilling out! And of course Irish dancing. Although let me bring some Scottish dancing music along for Robbie, I’m sure he’ll love that too! Oh, you are welcome to come over and have flatbreads on the porch with us whenever you want, Neil! Just bring some stories of your Scottish adventures. 🙂 We really do spend about equal time out on the porch as we do inside during the summer…which works well since upstate New York has great summers and falls. (It still gets a little hot during the afternoon this time of the year, but the evenings are nice.) Oh, and if you happen to bring along a bagpipe, then I’m pretty sure you’ll be Robbie’s (and my) new favorite friend! Who doesn’t love some good foot-stomping Irish drinking songs! I’m with Robbie – who cares if it’s June? This pizza sounds sooooo good! I’ve never had a flatbread like this, but that clearly needs to change! Tell me about it, Rachelle! A party isn’t complete until you’ve got a foot-stomping toddler stealing the show. 🙂 Plus, it’s Irish music. And Irish music always puts you in a good mood. It’s a proven fact. (I’m not sure who proved it, but I’m sure there’s a study out there somewhere proving it!) Give flatbreads a shot this summer, my friend. They’re easy and fun to create. Literally a blank canvas for deliciousness! Hope you are getting a chance to relax! Gorgeous flatbreads. 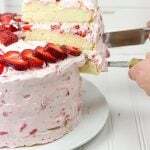 The photos are making me so hungry! You are totally right, Marissa! I mean I enjoy music, but Robbie clearly has a whole new level of appreciation for it. I wonder if he’ll end up being a musician later in life? 🙂 Thanks for the kind words, my friend! How could I possibly forget that band 😉 ?? This is my kinda eats, weekdays or weekends. It’s healthy, but still feels like a treat :)….which, totally means I can have an extra piece, lol 😀 P.S.I have an eclectic taste in music too – I just like soooo much stuff! I know, right? The Mother Goose Jazz Band is kinda unforgettable. 🙂 So I totally agree with you about flatbreads…they are healthy, but still feel like a treat! That combined with how easy they are to make puts them pretty high up there on my list of awesome things! Thanks, Dawn! Hahaha!! Oh my! That boy of yours has as much of an eclectic taste in music as his dad seems to have 🙂 Irish music just makes me wanna do a jig (which ain’t pretty to witness cos I have 2 left feet) so I can totally understand Robbie’s fascination with it – even out of season! And speaking of fascinations – dude – am so fascinated by that tzatziki sauce on the flatbread!Lil Shashi and I usually add hummus as a base and pumpkin – next time tho am gonna have to give this a try! Oh yes, Robbie has quite the varied taste in music…but hey, I’m ok with that! Plus, seeing him dance is quite the event in and of itself! 🙂 So hummus is definitely a good base for flatbreads, but do give this Tzatziki a try. It’s such a versatile sauce, and it’s packed with delicious summer flavors. (I say summer because lemon + dill makes me think summer.) Thanks, Shashi! !